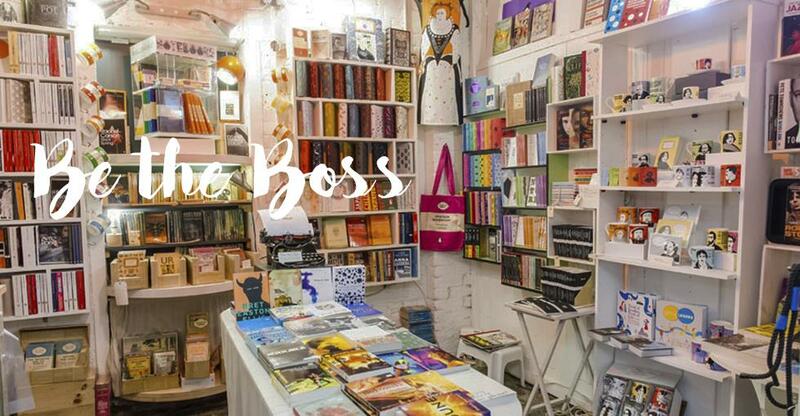 Tucked away from the hustle and bustle, Books Iconica is a hidden gem located in Camden Market’s North Yard. The shop, which specialises in books of the 19th and 20th century as well as penguin publications, has shelves full to the brim with beautiful, hand-picked publications. Founder and avid reader Vari McGeachy has been surrounded by books for her whole working life. We spoke to her about her business inspiration, her passion for literature and her rigorous procurement process. Can you tell us a little about yourself and your background before setting up Books Iconica? Prior to opening Books Iconica I worked for a gentleman named Jason Burley in his long-established bookshop in Camden Lock. In the year 2000 Jason took his shop to Old St and I also worked for him there for a few years. By the time I set up Iconica I had notched up about 15 years’ experience of selling books. I had always admired and respected Jason, the business which he ran and the fact he created a niche for himself. So I must have taken some inspiration from him, for sure. In terms of what inspired me, it was a combination of things. The books themselves certainly played a role. I developed a real affection for not just the literature enclosed within the book, but the quality of design and binding of the book also pleased me. What or who inspired you to run a bookshop ? Whilst on a short visit to Helsinki, I came across a little boutique dedicated only to Moomin books and merchandise. It was a real celebration and appreciation of Tove Jansson’s literary and artistic creations. Having seen this exquisite little shop, I felt I could create something equally enthralling by celebrating our own wide and wonderful literary heritage. Until then I knew I'd like to run my own bookshop, but I also knew I didn't want to run just another general bookshop as it's already done so well. So it was this visit that the idea really began to crystallise and I made my mind up to specialise in the classic literature of the 19th and 20th centuries. What’s your opinion on the kindle/download phenomenon – has this affected your sales in any way? I've never used a kindle or download myself as I've never had the need, being surrounded by books all my working life. There's no doubt there is a place for them and I'm sure they have their benefits, accessibility, weight and storage being a few. However, I can’t imagine that the ebook has influenced my particular book sales, except perhaps in a positive way. We are at two completely different ends of the spectrum. In my opinion a download is fine for reading a book you have no interest in keeping, holding, treasuring, sharing, annotating, smelling or simply giving away a book as a precious gift. These are the things you do with a beautiful book that you cherish. From where do you source your books – how does your selection process work? I source the majority of books I sell from a main, national distributor. As much as I like the idea of buying direct from the publishers – and they can usually supply the books a little cheaper – I find it doesn't work for my particular business needs. I find complex ordering systems, minimum purchases and erratic delivery services tend to cost me more than the savings made on the discount. As I specialise in classic literature of the last two centuries, the choice of title and author has already been made and time honoured by history itself. It's my job to select the best quality, best value and, of course, most beautiful editions and publications I can. What advice would you give to small-business owners? Waste little and make savings wherever possible by being as creative and resourceful as possible. Pay attention, keep your ears and eyes wide open, observe your clientele – how they respond to your business – and respond accordingly. Be open; don’t doggedly hold on to ideas, practices or policies which don’t prove themselves, or cease to work. Change is essential to development.